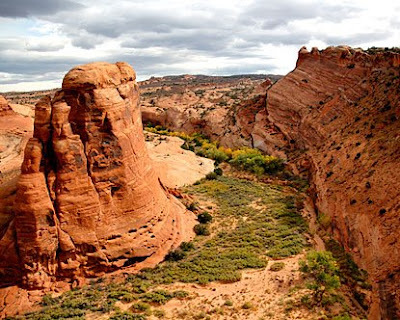 So, this weekend should be a good one because we are going camping in Moab. We were originally going to camp in Lake Powell, but there was a little too much fuss about not having a boat for Rachel and I to handle. So, we changed the location to avoid said murmuring. Congratulations! You have been chosen to participate in this weekend's camping trip. You have demonstrated a level of accomplishment that indicates you could excel in the wilderness. We urge you to now redouble your efforts in order to realize your potential as wild men. Being chosen to go on this trip does not automatically ensure a good time, nor does it guarantee your survival skills will improve. We encourage you to work closely with the girls in K11 and each other as you work toward being crowned "Kings of the Wild". 1) Calculate the total number of male specimens planning to attend this event. Get this number to Missy & Rachel ASAP. 2) Collaborate amongst yourselves to formulate plans for breakfast and lunch (for the decided amount of people) for Saturday, May 31, 2008. 3) Take inventory of your camping gear. Do you need a tent? For how many people? Let us know NO LATER THAN WEDNESDAY EVENING (May 28, 2008). 4) If you want to do other activities (mountain biking, fishing, etc. ), pack your own supplies. 5) Meet at K11 at 8:00 am the morning of Friday, May 30, 2008. We can check into our campsite at 12:00 noon. 6) You guys are cool. The girls in K11 are in charge of Friday's lunch and dinner and will provide snacks to munch on throughout the trip. It is possible that a car will be leaving later on Friday if you are interested. Our group will be leaving the Moab area Saturday night. The campsite will cost $55 and be split between 8-10 people depending on the number of people coming. We will divide up the total as soon as we know who will be joining us. Once again, congratulations and we look forward to seeing your continued development.